Sony will be taking a more customized and nimble approach when it comes to the pricing of PS Vita games. They won't all sit at $40 when they release; instead, it appears the company will be pricing titles as they should be worth. The news comes from an interview between GI.biz and Sony's PlayStation Europe Head, Jim Ryan. 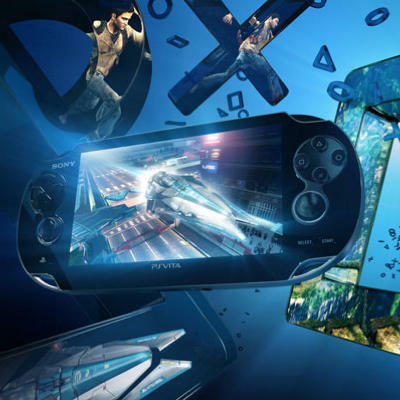 Ryan explains that Sony has learned a lot from the mobile gaming software marketplaces out there, and that the company is making decisions to remain competitive in the portable gaming space. They're not going to do that by offering $0.99 cent knock-offs, but Sony will address the way they price games. "I think it would be safe to assume we will take a more tailored approach than perhaps we've done in the past." If we do that and we provide great value to the consumer on games like Uncharted, I think the possibility to sustain historic console type price points is there." As a reader and consumer, that last line scares me a little. "Console type price points" suggests that some PS Vita games will stand in the $50 to $60 range, and that's something that rubs me the wrong way as a potential buyer. There's no doubt in my mind that Uncharted: Golden Abyss, for example, will be a more console-like game than Angry Birds; however, that doesn't necessarily mean it should stand for $60 at retail. With that in mind, if Sony looks at mini-game collections and prices then more reasonably than is the standard in the gaming industry today, I love what I'm reading. Sony has not officially announced the price points for their software lineup in the western part of the world. GameStop, however, has listed their games at $40 a pop. We'll have more on the PS Vita as it comes.